So What’s New at Kentik? We’ve also continued to innovate on our network analytics capabilities for service providers. 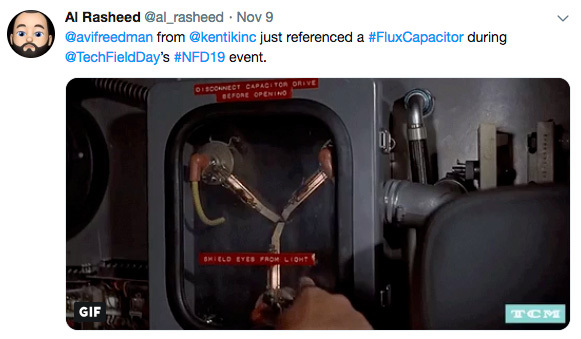 With the network changes (mentioned above), service providers are being squeezed from all sides to maintain cost control amidst growing network load, push for commoditization for revenue generation, and hold off the competition. 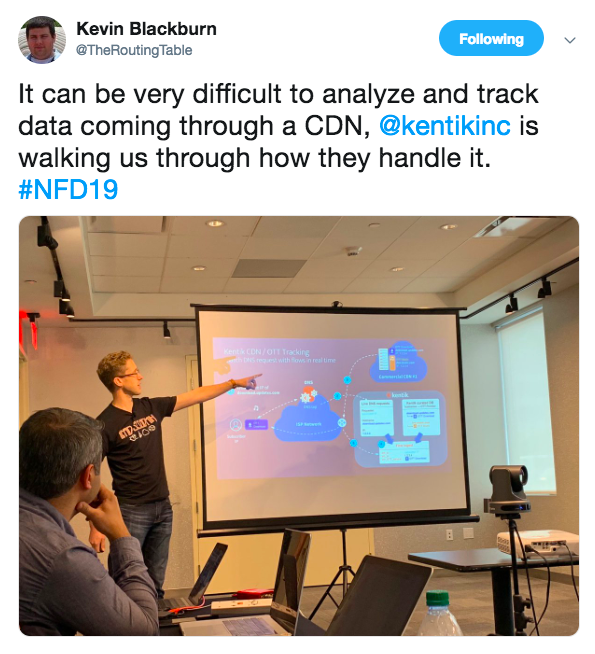 Kentik’s Head of Product Marketing Jim Meehan talked to the NFD crowd about how we’re aiming to help service providers address those ever-increasing pressures. 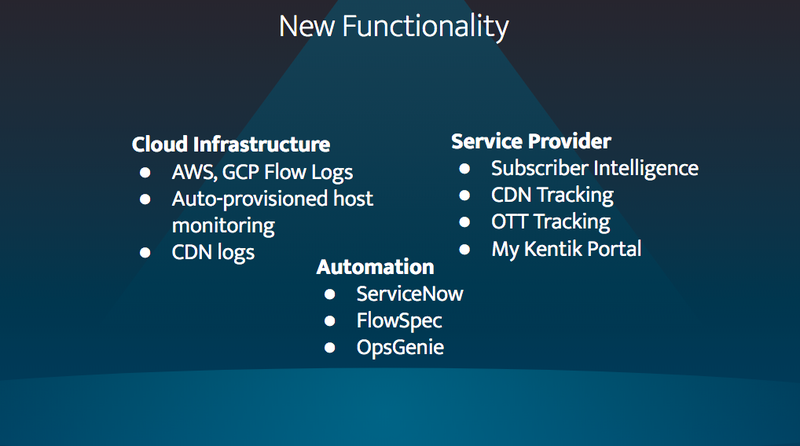 Jim showed off a few key developments including OTT Service Tracking, CDN Attribution, Subscriber Tracking, and the new My Kentik portal. What were the key takeaways? 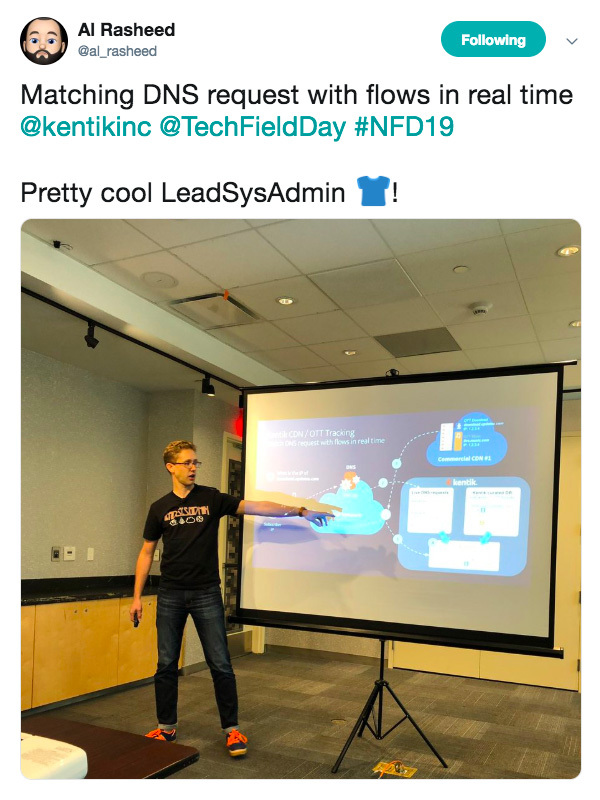 Jim and Kentik peer Crystal Li, senior product marketing manager showed how maintaining visibility into cloud and across hybrid environments can be made easier with Kentik and our support for VPC Flow Logs. 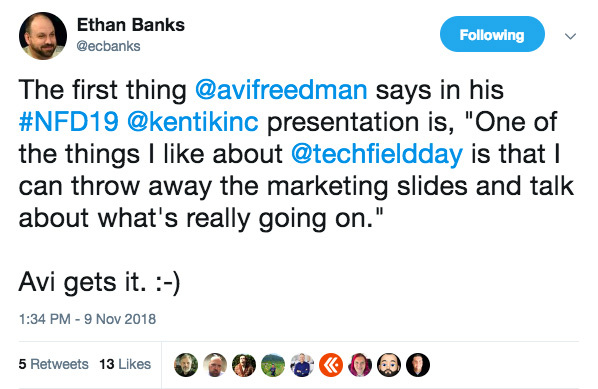 We outlined our Google Cloud and Amazon AWS developments in this session, too. 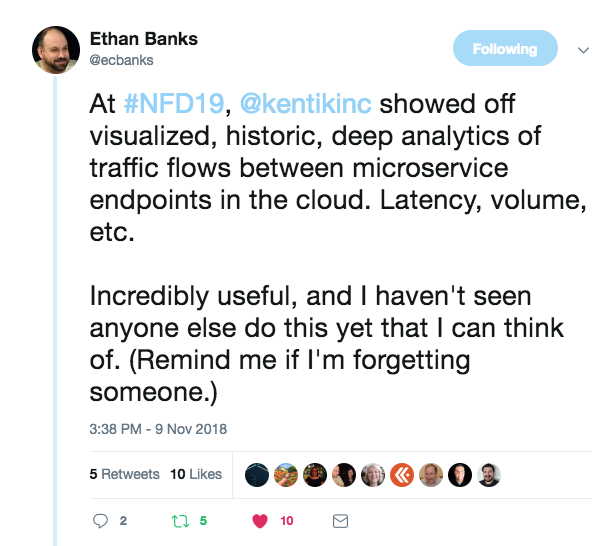 Avi closed NFD 19 with a look at Kentik’s roadmap. But before that, he got into our “negative roadmap.” That is, all of the features we won’t be focused on anytime soon — from generic BI, to SIEM, to APM. 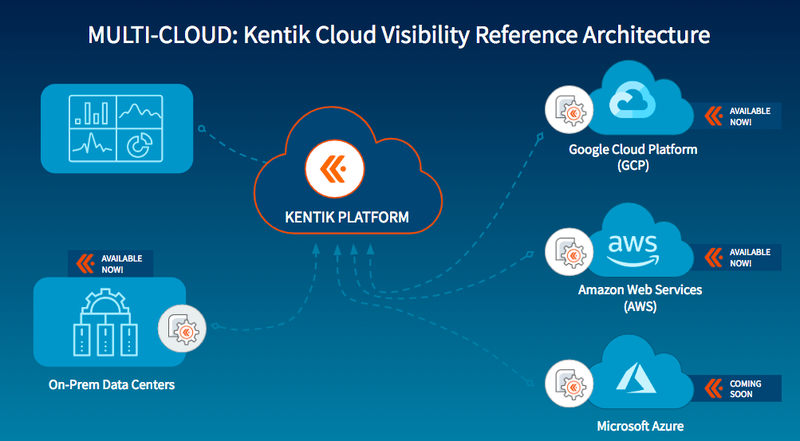 Kentik’s road ahead does, however, include innovation around metrics, streaming telemetry, segmentation, orchestration integration, and edge computing. Be sure to check it out. And if you’re left wanting to see more, sign up for a scheduled demo or log on now to trial our platform for yourself.